Welcome to life Lorraine Casey! During the latest months I was involved in various visual projects for very talented musicians. After my contribution as a graphic designer for the release of female-fronted Electro-Metal act Elyose (they’re collecting a huge response with their latest album ‘Reconnexion’! ) I finally can share with you another great work that I had the pleasure to take care of as a photographer/art-director/graphic designer and make-up artist. Lorraine Casey is a young musician at his debut, tainted by a fresh Punk/Rock warmed by old-fashioned shades of classic Blues. Lorraine Casey is a new artist to be discovered. His debut EP ‘Fury Road’ is produced and arranged by my partner MaXX at our own studios. We had great times here, sharing music influences, imaginary, stories and sounds to better represent Lorraine’s personality. It was a 360° collaboration and we’re really proud of the result! If you want to support independent music have a listen at Lorraine Casey official bandcamp page below. Awesome news from Electro Goth Metal act Helalyn Flowers! 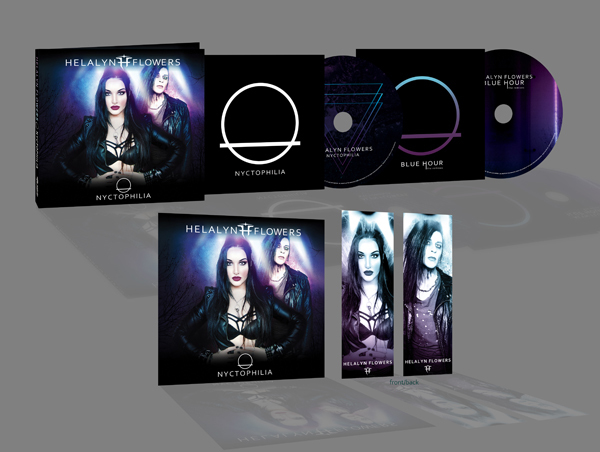 Their 5th full lenght album ‘Nyctophilia’ is out now woldwide! Available on CD / 2CD and all digital platforms, it includes 10 epic songs that will defibrillate your hearts! Shimmering, adrenalinic and darkly sensual. It already hit #1 Bandcamp place for the Electro Metal chart and aim to be named ‘Album of the Year’ by several magazines from the alternative press! Recorded, mixed and mastered by Helalyn Flowers at our partner studios in Rome, even this time all the visual, artwork and photography has been created by Toxic Visions design. Including the detonating hit ‘Kamikaze Angel’, the album comes in a beautiful full color limited edition gatefold card case. This stunning new edition format also includes a thrilling artistic full color 8-pages booklet designed by Noemi Aurora for Toxic Visions which shows off stunning conceptual illustrations based on the own album nocturnal theme, by dipping the band itself in an exclusive darkly fascinating atmosphere. 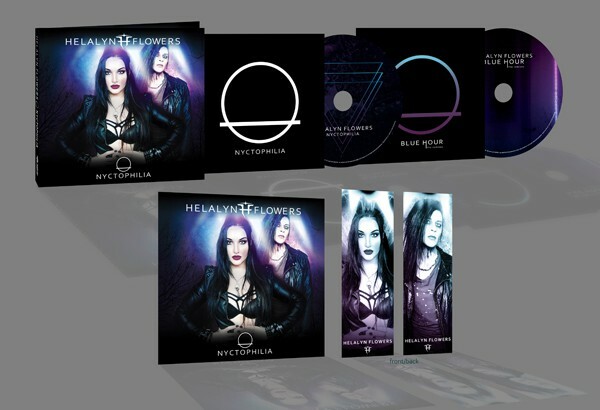 The booklet also includes full lyrics + a special thanx list with the names of all those who supported the band during promotional campaign: ‘Your name on Helalyn Flowers next album’! Last but not least, included in this special limited edition a tasty postcard and 2 killer Helalyn Flowers bookmarks! Out Now via Alfa Matrix. News from our studios! We have the pleasure to take care of debut album studio production of the italian Rock band Delirium Age. 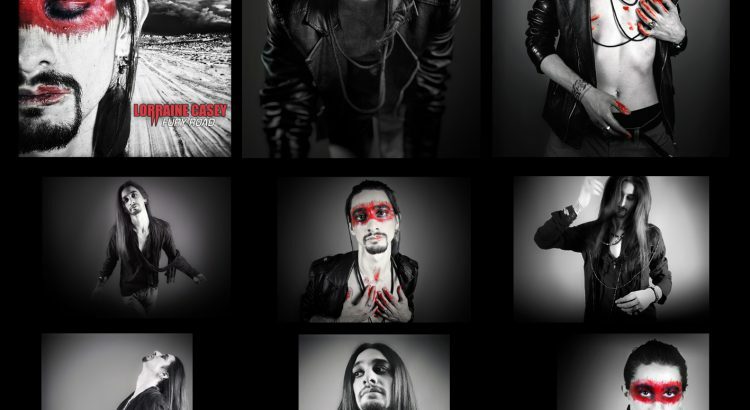 This is what Max says :”I started my work as producer for debut album by Alt-Rockers Delirium Age. Already I had the pleasure to work with these guys since a couple of years on occasion of their early demos. Expect a huge and fresh mixture of Foo Fighters, The Black Keys and Audioslave plus some acoustic intimacy and ambient landscapes. 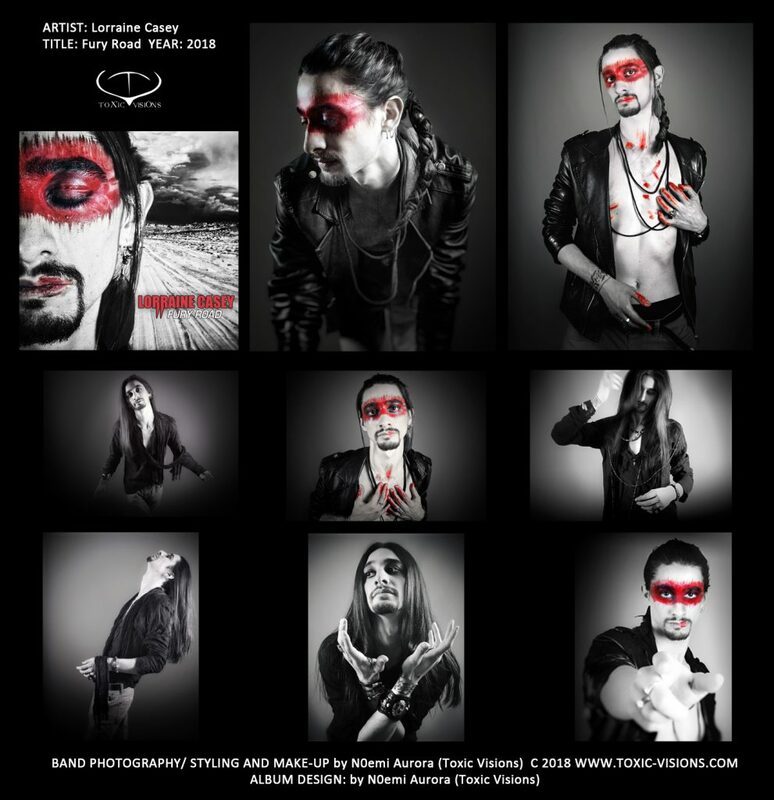 News and updates to be posted during the making of the album!” Also, art direction , band photography, logo and album design will be managed by me at Toxic Visions Design! Keep posted for backstage report and artwork previews!